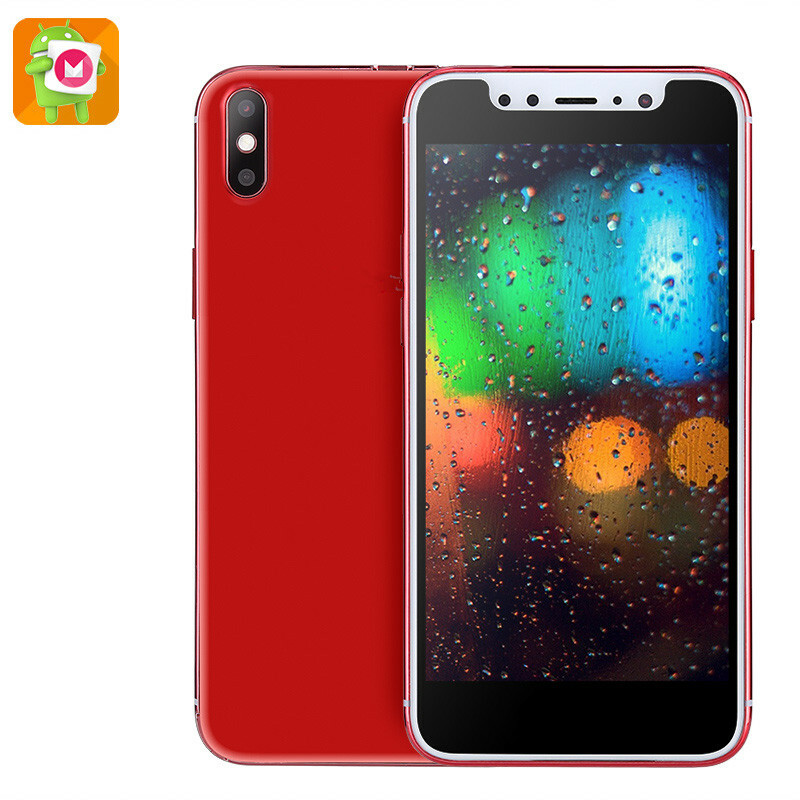 Successfully Added E-Ceros X Android Phone - Quad-Core CPU, Dual-IMEI, 3G, 5-Inch Display, Android 6.0, 1950mAh Battery (Red) to your Shopping Cart. The E-Ceros X smartphone is a cheap Android phone that lets you enjoy all the basic Android features. With its Android 6.0 operating system, a smooth and lag-free user experience is guaranteed. You’ll be able to play games, enjoy Apps, and watch movies on the phone’s crisp 5-Inch HD display. The cell phone treats you to Play Store access so you will never have to worry about getting bored. With 4GB ROM and a 32GB SD card slot at your disposal, there will be plenty of space for you to keep your files and media. This cheap Android phone comes packed with some sophisticated hardware. It holds a Quad-Core processor along with 1GB RAM. The phone furthermore packs a powerful 1950mAh battery that delivers up to 5 hours of continuous usage time. With its Dual-IMEI numbers and 3G support, this Android phone keeps you connected at all times. It furthermore comes with an intergraded 2MP camera that lets you shoot nice photographs and HD video of all your upcoming adventures. If you’re looking for an affordable smartphone that meets all your basic cell phone needs, the E-Ceros X is certainly a device to consider. The E-Ceros X smartphone comes with a 12 months warranty, brought to you by the leader in electronic devices as well as wholesale Android phones..